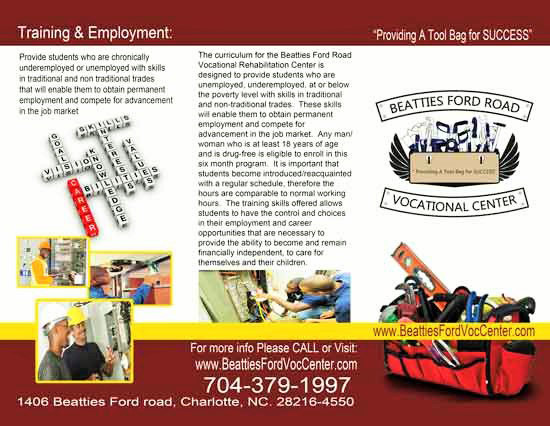 The Curriculum for the Beatties Ford Road Vocational Trade Center, Inc Center is designed to provide students who are unemployed, underemployed, living at or below the poverty level or re entering the community from incarceration will skills in traditional and non traditional trades. These skills will enable students to obtain permanent employment and compete for advancement in the job market. 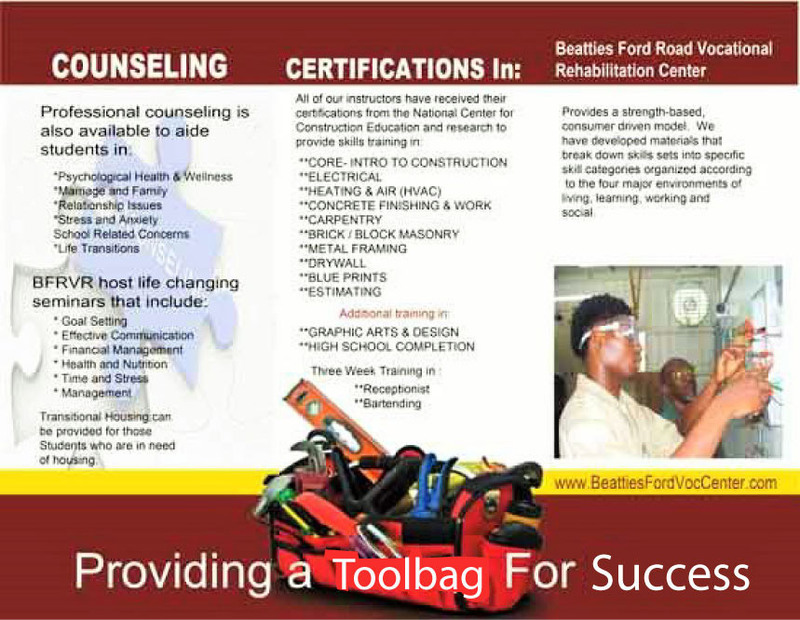 Any man/woman who is at least 18 years of age and is drug free is eligible to enroll in this six month program,. Classes are available in the day and evenings.